Not all lawns are created equal. The way you design, landscape, and decorate your lawn can add personality and function. Fortunately, improving the look of your lawn can be as easy as a bit of creativity. Here are a few ideas for how to upgrade your plain turf into a fun lawn. Striping is a beautiful way to ornament your lawn. When you mow, you see a bit of striping already happening — here’s how to emphasise it. Stripes are simply a change in the reflection of light on grass. 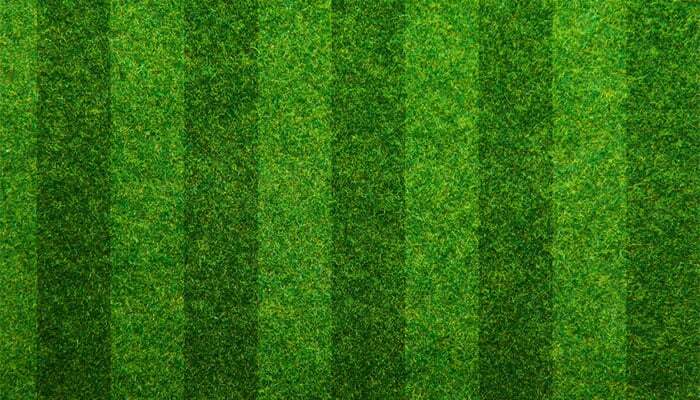 By mowing your lawn to make particular sections face a certain way, you can create the stripe effect. First, pick a pattern — parallel stripes, checkerboards, or diamonds. Measure out the area you’re working with to sketch out a pattern. Start by mowing parallel to a sidewalk or other straight edge, and when you get to the end mow along the same axis in the opposite direction. For your mower, you’ll need a striping kit attachment, which you can purchase or make yourself. You’ll want to mow on the highest setting. Short grass won’t bend as far, so for the most dramatic effect keep your blades relatively high. Be sure to look at least a few meters ahead of you rather than the ground right in front, and check your work in between each row. For checkerboards, rotate 90 degrees after the initial mowing. Diagonal or criss-cross patterns are the same as checkerboard, but everything is rotated 45 degrees. Next, after you’ve created the stripes, go over the lawn row by row in the same direction with a lawn roller. These can be hired if you don’t already own one. This is the step that truly emphasises stripes and makes it look professional. You’ve just created a great striping on your turf, though it does need regular maintenance. Bring the home team out and play some rugby with your big league stripes! Your lawn is an open canvas! Consider adding lawn ornaments such as figurines, stone walkways, and potted plants arranged in levels. Garden gnomes are a classic look for any garden, and you can even buy them unpainted and paint them as a family. Making a bird bath is another fun family activity and can be made fairly simply using a basin elevated onto a sturdy pole. Birds are also helpful for grass maintenance, as they delight in eating pests like grubs and beetles. Hi Quality Turf lays and services commercial turf in the Sydney-Wollongong region. If your school or community centre would like striped lawns, give us a call and we will design the perfect sports turf for you. CTA: If you’re looking to physically check out turf or grass varieties, come visit us in Pitt Town Bottoms. Or call 1800 040 981. Alternatively, email us.